It is an undeniable truth that studying abroad is a life-changing decision for every student. This is because students will not just face language and cultural barriers but also need to overcome financial and other matters. 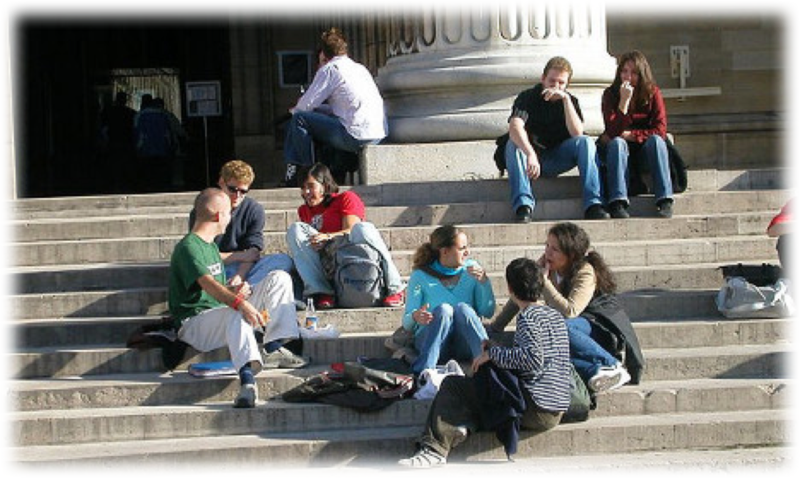 With proper preparations, anyone could easily ace studying abroad program without any hassle. To serve this purpose, it’s vital to figure out answers to some question before gearing up for study abroad program. Here is a list of questions you should ask yourself before studying abroad to make a good experience. 1. Why I Need To Go Abroad? The purpose of study abroad is the first thing you will need to figure out before kicking off arrangements. It is really crucial for the student to figure out the main purpose of foreign study whether it’s to explore a new culture or availability of course or scholarship opportunity. By answering this question you could easily make your mind and do arrangements as per requirements. For example, if you have received any scholarship opportunity then you will not need to arrange hefty amount of finance. Instead you could do preparation for other requirements to make your journey safe. 2. Do You Know Any Student Who Has Studied Abroad? This is the most appropriate way to make one mind for studying abroad. Look in your network people who have studied abroad and ask them about their experience. Talking to others who have successfully completed a foreign study program will give you a chance to figure out answers to so many questions that are doodling in your mind. In addition, you can make your mind to face challenges that are attached with foreign study programs. So connect with people who have studied abroad to benefit by their experience and great knowledge. 3. Have You Fasten All Necessary Travel Documents? When it comes to study abroad students need to manage dozens of documents. In order to study abroad, you will need to manage documents from admission form to the accommodation letter to a valid passport. If you’re moving to a country where you will require a student visa then you will need to fill up a kit of documents. Keep in mind to back up a set of all documents in a secure place so that you will easily use them in the case of emergency. If you’re making your mind to study abroad, then you must evaluate the cost of this decision. Usually, the cost of the study program is based on the university or college course that you choose. Therefore you will need to figure out the duration of the program you’re willing to enroll as well as the country where you plan to study. To serve this purpose, you can use the internet to browse international colleges and universities websites. Every website contains list of course along with their tuition fees so that you could easily calculate the total cost of your course. Normally international college and universities admissions close three to four months before the semester classes begin. And there are to admission intakes that is the spring and winter admission-intake. Every international college and university have different admission criteria therefore you will need to learn it before applying. Moreover, you will need to know the last date for acceptance of application forms to avoid close deadline horridness. 6. Where I’ll Get Accommodation? Fortunately, there is no restriction from institutions that requires international students to stay only at on-campus accommodation. Therefore you could easily select any option of accommodation that will suit your budget. If you’re willing to stay on campus accommodation, then you can also benefit with on campus ‘meal plan’ with extra payment. For this purpose, you will need to check out the interested institution’s website to get details of on-campus accommodation and meal packages. You can also stay in shared rooms or as a paying guest with a family to add unique cultural learning experience in your program. Before planning to move in any part of the world it’s crucial to make your mind about every challenge that you will need to accomplish with your efforts. This is because when you will move abroad you will need to perform every task with your own efforts. Whether it's laundry or ironing or shoe polish, you will need to accomplish everything by yourself. Furthermore, you will need to develop assignments that are plays a key role in academic semesters. Thus, if you’re self-sufficient to ace every challenge with your own efforts then you should gear up for a study abroad program. 8. Can I Apply For A Scholarship? Almost every college or university offers scholarship opportunity to international students. Usually, it’s based on the program that you’re planning to study. Scholarships are offered by both the government and private educational organizations in every country. Therefore, it’s better to look for scholarship opportunity at the institution website you’re interested than to pay costly tuition fees.